Perfect new colour combination in reed, olive and burgundy. It really works very well together. 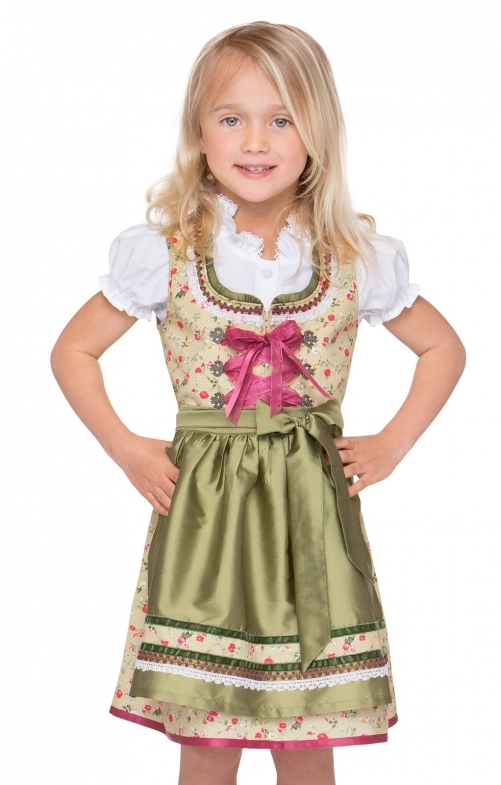 The kid's dirndl of Stockerpoint like with this romantic playful design of scattered flowers on polka dot fabric and especially with the detail loving exclusive processing and equipment of the dirndl. Complete look. Perfect look. And ... the dirndl is offered in 3 parts. Blouse and apron are included.